Bain Satin 2 Deluxe Shampoo is rated 4.0 out of 5 by 88. Gentle shampoo that cleanses the hair while providing optimal fiber nutrition for Sensitized, Dry Hair. Rated 5 out of 5 by Rachel801 from Makes me feel luxurious every time I use it! I have used Kérastase for over 14 years! I always go back to this shampoo! I have very thick hair that tends to get extremely dry. Every time I use this shampoo I feel luxurious! The smell, how soft & easy it is to style my hair! I decided to buy the deluxe size this time. Kérastase Is expensive yes, but so very worth it! Rated 5 out of 5 by Chrisdoescolor from Really is the best moisturizing shampoo I feel like almost anyone seeking softer hair could find this product fabulous and very effective! I love the fragrance and it is great in providing exceptional nutrition. Rated 5 out of 5 by Jackiewilwal from Love this stuff! Always come back to this shampoo. Have used other shampoos from drugstore to salon types and Bain 2 leaves my hair feeling clean without the dry tangles Just a small amount for my medium length hair and it suds up and feels like it cleans every strand. Shine — doesn’t flatten. I’m not one who spends a lot of time on my hair and this shampoo just works. Smells nice. You have to try it. You will not be disappointed. Rated 5 out of 5 by Nancy123 from Works wonder! I am so please and glad I purchase this product from my hairstylist. My oh my, it saved my damaged hair! I love it!! Rated 5 out of 5 by SAR333 from Exceptional shampoo I normally use high end hair products, like Aveda. I tried the Shampoo and conditioner from this line, and I was impressed. I have fine, limp hair that is prone to frizz in the humidity. This shampoo and conditioner made my hair very shiny, smooth and with bounce. It is light, but it really detangles well. My hiar just really looks healthy, and not at all weighted down. I like the fragrance, too. It is expensive, but it IS BETTER. Rated 1 out of 5 by nothappy from Too much perfume, not a good value This product replaced Bain Nutri-thermique which I loved. I do not even like this new product. Makes my hair greasy faster, really stinks heavily of perfume, and doesn't protect against heat like the old product. Now you have to buy an additional product if you want heat protection. My hair doesn't shine with this product like the old one. It definitely isn't worth paying $41.00 . I"ll be looking for a new shampoo line. Rated 5 out of 5 by PrincessDasha from Just Fabulous!!! I bought for first time couple months ago or so Kerastase products and I'm so glad I did. This shampoo is woww smells heavenly and for those on here saying is too strong is not, they just need to use small amount coz it does works not like other brands that you need to use have of bottles for leaving clean when washing hair. I'm so in love with this shampoo highly recommended. Ps. My hair is very thick and curly so I used and suggest you to buy Fever curls for a gorgeous curly hair! Lait Vital Conditioner Moisturizing conditioner for slightly dry hair. Masquintense Thick Hair Mask Moisturizing hair mask for thick hair. 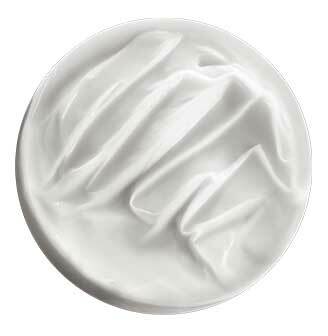 Masquintense Fine Hair Mask Moisturizing hair mask for fine hair.